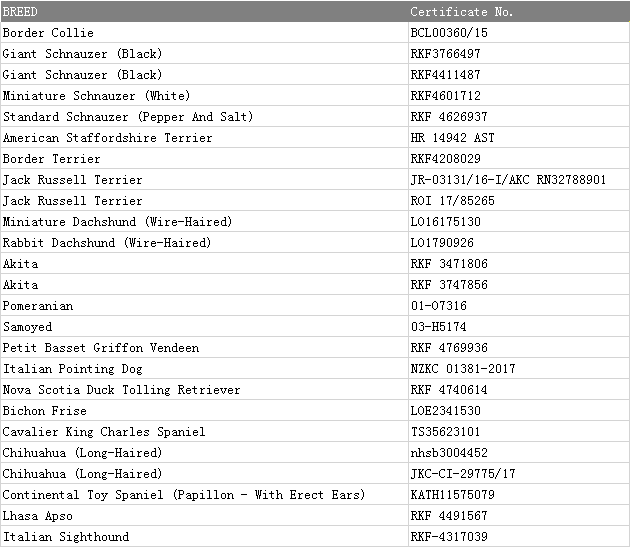 Please kindly be noted that Championship Certificates of dogs listed below should be sent to the CKU via wangrui@chongaibao.com no later than 24:00, April 11 (Beijing time). Thanks for your cooperation. Any inquiries, please don’t hesitate to contact us.